This program is available to more professionals, including pharmacists and registered nurses. 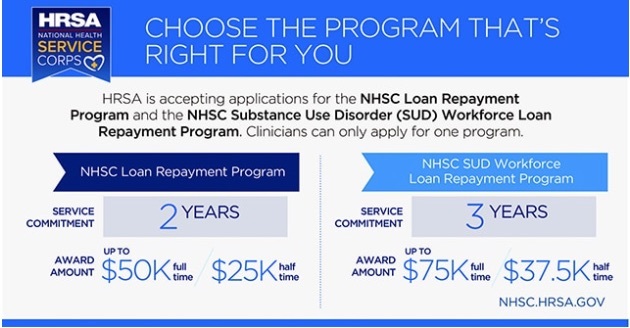 For more information, refer to the fact sheet and 2019 Application and Program Guidance (NHSC SUD Workforce LRP) (PDF - 573 KB). Be on the lookout for helpful application tips about what documents you need to provide when applying such as eligible sites, loan information, HPSA scores and more!